Cleveland Cavaliers superstar LeBron James continues to deliver in the clutch as he leads the entire NBA in fourth-quarter points this season. 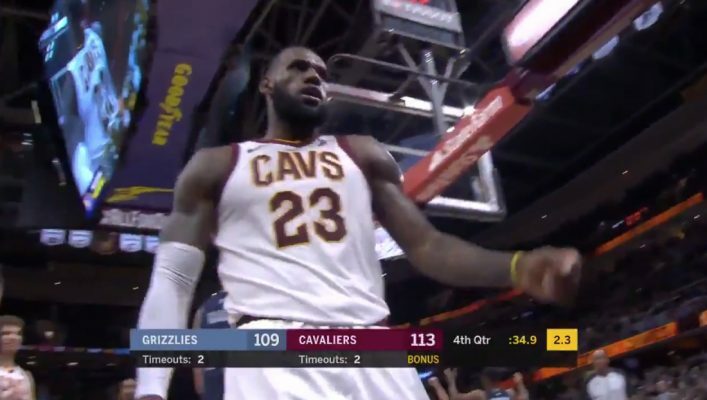 That theme continued on Saturday night as the Cavs found themselves in a surprising wire-to-wire contest against the Memphis Grizzlies. With the Cavs clinging on to just a two-point lead, James took his defender to the basket and scored on a driving layup while also drawing the foul. 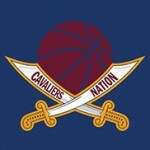 The King knocked down the extra point and helped the Cavs secure their 11th victory in a row. James finished his night with 34 points, two rebounds, and 12 assists and continues to show why he’s amongst the league’s elite when it comes down to crunch time.